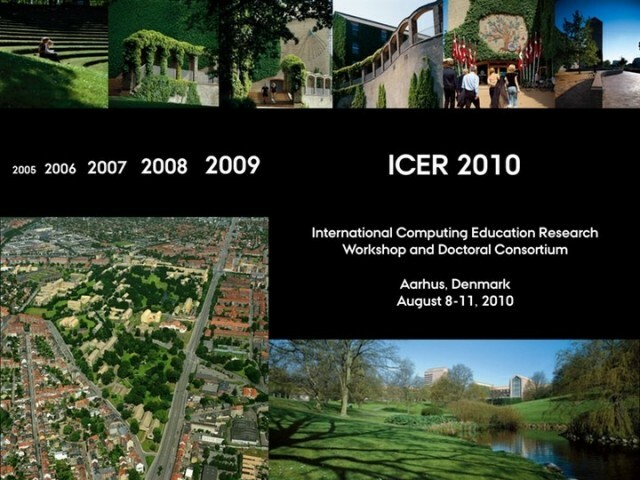 Welcome to the ICER 2010 conference. As a change to the hilly Berkeley/San Francisco area which we enjoyed in 2009 we will meet in the not-so-hilly area of Aarhus, Denmark. We expect to be able to offer you nice weather, good food, interesting papers and exciting discussions. Please see sub-pages for detailed information.